The Day Group is a little different from other FNCV sub-groups in that it takes a generalist or broad-brush approach to the study of natural history. The monthly program of presentations by speakers is diverse and of high quality. 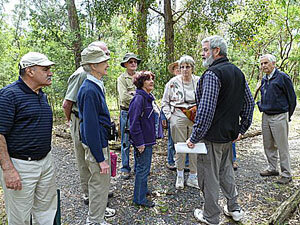 In the warmer months one or two morning excursions with local guides are scheduled. The Day Group is very popular and its attendance has been growing since its origin a few years ago. It is especially appreciated by members who find it difficult to attend evening meetings, and attracts people from all age groups. Some of the presentations are about travel, but the focus is always on aspects of natural history. Occasionally a talk which has been given to one of the other FNCV groups is repeated for the Day Group. The Day Group is friendly and enthusiastic and welcomes visitors and new members. 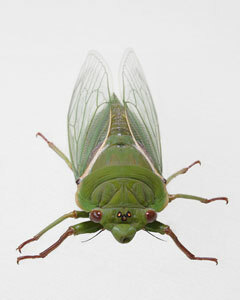 The aim of the Day Group is to provide a generalist, high quality natural history program. Speakers are invited from inside and outside the FNCV. Thus the group can utilise the rich resources of the other eight special interest groups of the FNCV. Speakers from outside the Club have included authors, film makers, researchers and staff working at the Arthur Rylah Institute or Museum Victoria. The varied scope of the program is best illustrated by the following list of topics. The Day Group has had presentations on: Australian Cicadas; Cocos-Keeling Islands; Creating Botanical Illustrations; Naturalising on Cape York Peninsula; Antarctica 2011: sustainability, climate and life at Mawson Station; Our disappearing bryophytes: a battle for survival; Birdlife of Macquarie and Heard Islands; Weeds; Survival and recolonisation following wildfire at Moyston West. 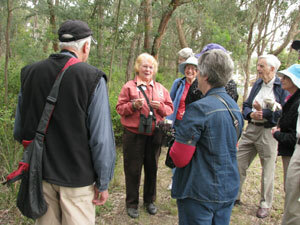 There have been excursions to: Antonio Park, Mitcham; Wandinong Sanctuary, Blackburn; and Maranoa Gardens, Balwyn. For dates of meetings and other activities see the Calendar of Events.